The choice to go with the gunter yawl rig as opposed to the balanced lug rig involves a few more pieced of hardware. Notably the big difference is the need for standing rigging as opposed to a free standing mast. 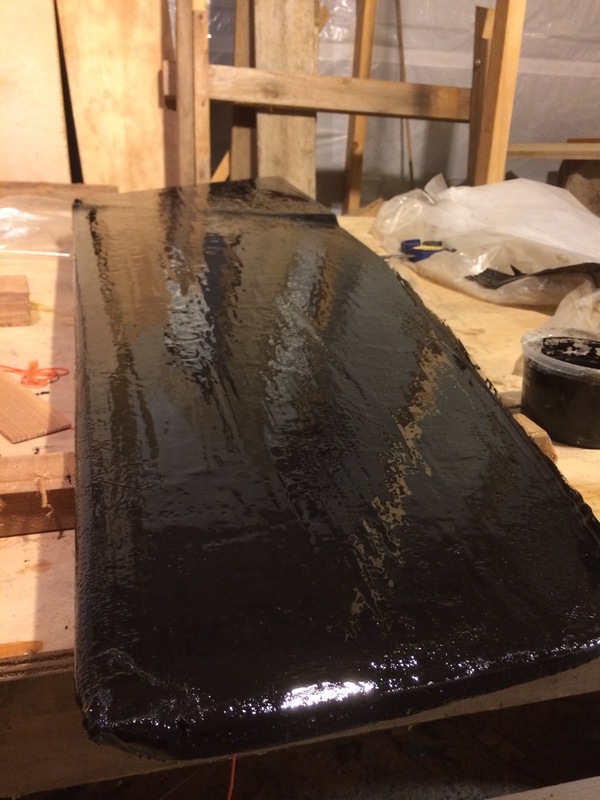 I’ve been working on the rudder assembly this summer as well as the centreboard and the need to order the rudder hardware to make sure everything I was doing would fit properly. After looking at the Classic Marine online catalog I realized that it would be a good idea to also order the other hardware at the same time to avoid paying for shipping fees multiple times. So receiving the hardware yesterday felt like Christmas, and I know now that there is one less thing holding back this boat from being completed. The Classic marine catalog does not have a very well developed images for all the products so I thought putting up photos of all the parts would be useful. So after some thought I decided to commit to my plan of building the gunter rigged version of the Caledonia Yawl. This meant purchasing a minimum of two chainplates, one forestay plate, one pad eye and the gaff span shackle. Over the last several weeks my attention has been pulled away from working on the boat. But one thing I’ve learned is that to keep momentum through these times is to still try to stop by even if the progress will be very small. I am still moving forward.